WEEKLY 3/29 |Lenten Fish Fry is tonight! Come for dinner, stay for fellowship! Worship through Service is this Sunday at 9:15 on the lower level! 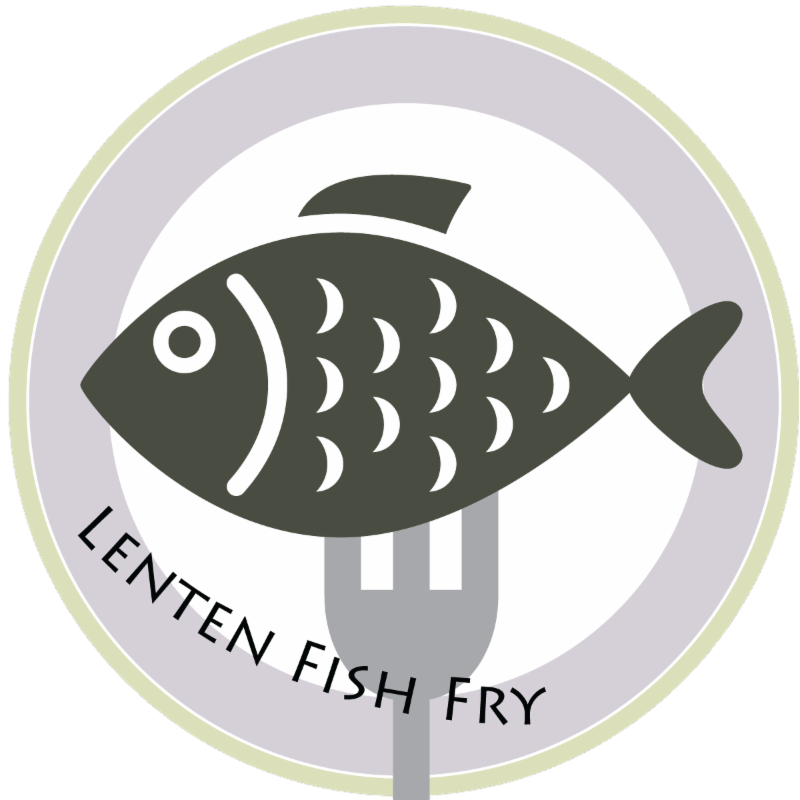 LENTEN FISH FRY TONIGHT FROM 5 TO 7PM! Dine In or Take Out. A delicious meal and good company for everyone to enjoy. Bring a neighbor, friend or relative. Profits benefit our local YoungLives ! R eaching teen moms and encouraging them to become the women and mothers God created them to be. 5 th SUNDAY WORSHIP THROUGH SERVICE THIS SUNDAY! Sunday, March 31, 2019 @ 9:15AM! We will come together for a short time of worship and prayer before sorting donations to our Food Pantry and prepare grocery bags for the needy. If you are unable to join us, you can still help! You can drop off non-perishable goods or make a monetary donation online below! Help us to bless and serve the needy through this vital ministry! When the disciples of Jesus asked him to teach them how to pray, his response was to teach them a prayer. The pattern for prayer that Jesus taught covers everything that stresses or troubles us. Lent is a time to go deeper spiritually. This sermon series on the Lord’s Prayer will teach us how to live more deeply in the Kingdom of God, on earth, even as it is in heaven. Please help us adorn our altar on Easter morning by contributing a lily, tulip, or daffodil in honor or in memory of a loved one. Plants may be taken home after the Easter Service. 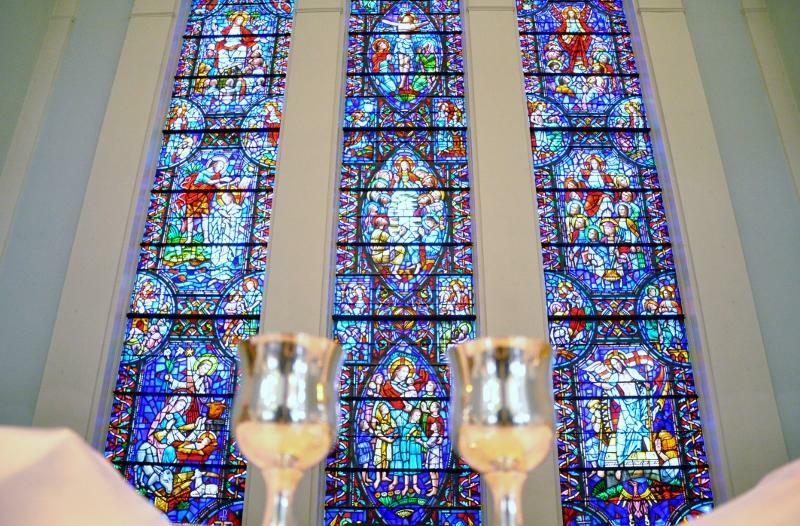 Chancel Singers: "Behold the Grace, the Love of God"
For the 2019 Hospitality Greeter Schedule, click here! Do you have concerns or questions about the events and decisions of the 2019 United Methodist Church General Conference? Or maybe you would like to know a little more? If so, you are invited to engage in courageous conversations where we will seek to unpack and process our feelings and experiences together. You are welcome to attend any or all of the discussions. Childcare will be provided. LUNCH & LEARN IS GOING ON LOCATION! April's Luncheon will be a very special event not to be missed! We will be meeting and getting a tour of our newly renovated Community library! Save the date now! Thursday, May 2, 5-8pm YoungLives Event - This is a faith based organization who helps teen Moms. They hold a “club” every week with leaders who fellowship with them and share the Gospel. We will be cooking the meal for about 25 people, delivering it to Phoenixville, serving, and helping with babysitting during the club. If interested, please contact Laney Douthit. Saturday, September 28 - Stroll and picnic lunch in Chanticleer Garden. Enjoy a beautiful fall morning outdoors with your Wayne Church sisters and their friends! Contact Nancy Brown or Denise Slawter with questions. October 26-27 - Women’s Weekend Retreat. Save the date now! Sunday, November 10 - Women’s Lunch. Following worship, enjoy a delicious lunch out and a special time of fellowship. Details forthcoming. See Ann de Leon or Agnes Fischer with questions or carpooling needs. Questions? Email Sue Scott here! Please join us for a study on Prayer! 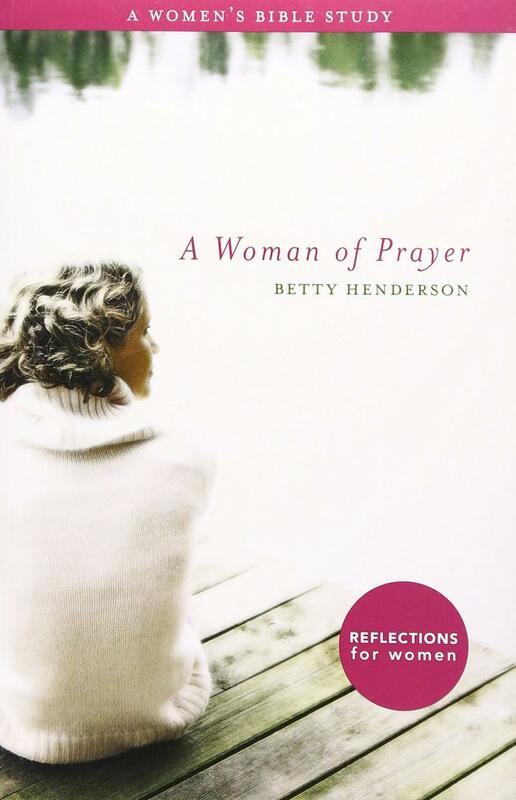 Book: “A Woman of Prayer” by Betty Henderson. In her uplifting and practical Bible study, Betty Henderson invites you to live life as A Woman of Prayer. Believers acknowledge that prayer is an integral part of Christian living, but how many of us know what prayer entails? From the basic “Prayer Principles” to the realities of “Prayer Practiced,” Henderson takes Christian women step-by-step through Scripture, demystifying our prayer life with a challenge to simply converse with the God Who hears. Successive Bible study and practical, spiritual application draw out valuable lessons from God’s Word for women today. For more info or have questions, email Kimm Ebersole here! We'll be continuing our Bible study on the Book of Jude - so feel free to stop by and join the discussion! We're breaking down this book of the Bible, exploring its connections to other books of the Bible and historical texts, and studying the message within in an easygoing, "no prep" Bible study before church. Feel free to join whenever you can - don't worry if you miss one of the earlier ones. Questions? Contact Ben Meck here! To see the Bible Study page, click here! Questions? Email Katie McNabb here! No matter what kind of team you lead—a sports team, a class, a family, a church—people are looking to you for guidance, and you want to lead them well. 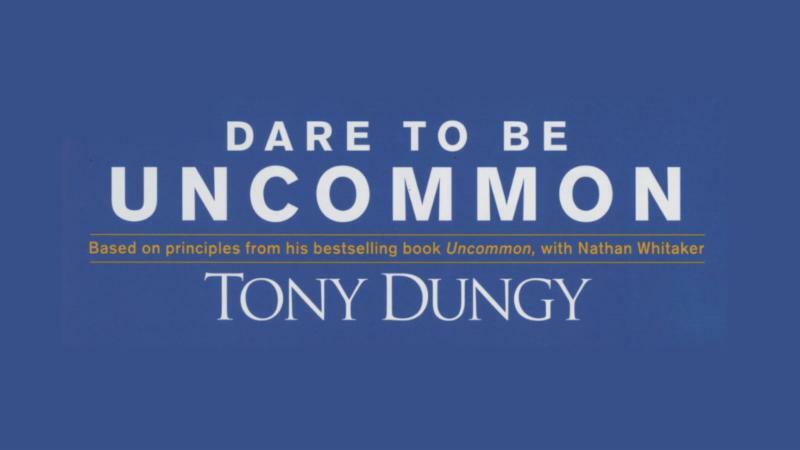 In Dare to Be Uncommon , Super Bowl winning coach Tony Dungy highlights the importance of character in attaining success on and off the field and challenges us to put what we learn into action. Find a path to true significance with Tony as he reveals his secrets to achieving uncommon success in this high-impact, character-building challenge. SPRING RUMMAGE SALE NEXT FRIDAY AND SATURDAY! Now is the time to spring clean and gather a box or five of your best no-longer-used treasures to share at the WC Rummage Sale! This is our LAST SALE UNTIL FALL. Ideal things to donate now are anything to do with spring and summer: garden and patio tools & decoratives; balls, bikes, & beach toys; summer clothing & shoes. Jewelry, DVDs, records, designer bags, clean and working household goods and appliances, kitchenware, tools, smaller furniture, complete puzzles and toys, VINTAGE items, and your best and latest-print books - especially children’s - always sell well. WE CANNOT ACCEPT computers, TVs, infant car seats or cribs, encyclopedias, text books, or stained, ripped, or broken anything. For example, please check each item of clothing you are considering donating, and make sure it is CLEAN (esp. around neck, sleeve ends, under arms) and not ‘pilly’ or out of shape. Regarding cookware, make sure it is scrubbed and shiny clean. Toys and puzzles should have all their pieces, and books clean and fresh. Do not bring autumn and winter items until next fall. All proceeds - usually around $6000 annually - go to our church missions and community, and leftover donations go to other charities such as Chosen 300, Cradles to Crayons, and GreenDrop, to keep things out of the landfill. Our food pantry has been blessed to receive the ongoing support of many outside food drive partners such as the Radnor Public School District. However, we need your help to connect with future donation partners and local organizations to keep our shelves supplied year round! You can help by telling your friends and neighbors about the Wayne Church food pantry and by letting the Food Drive Team know of any schools, businesses, or other organizations that may be open to partnership opportunities! Feel free to speak with or contact any of the following food drive team members: Nancy Brown nskebrown@verizon.net ; Bob King kingbob44@verizon.net ; Michele Leonard micheleleonard24@gmail.com ; Susanne Mertens smertens11@gmail.com and Sandy Sage soupgator@aol.com. Eastern University student, Alyssa Heric, is performing her senior recital in our church sanctuary on Friday, April 5 at 7:30pm. All are invited to attend. You don't want to miss this beautiful performance! It's almost over! Bins will be in church through this Sunday. Questions? Email T&E Cares here! 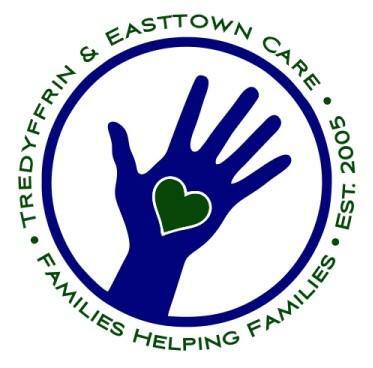 Click to learn more about T&E Cares! 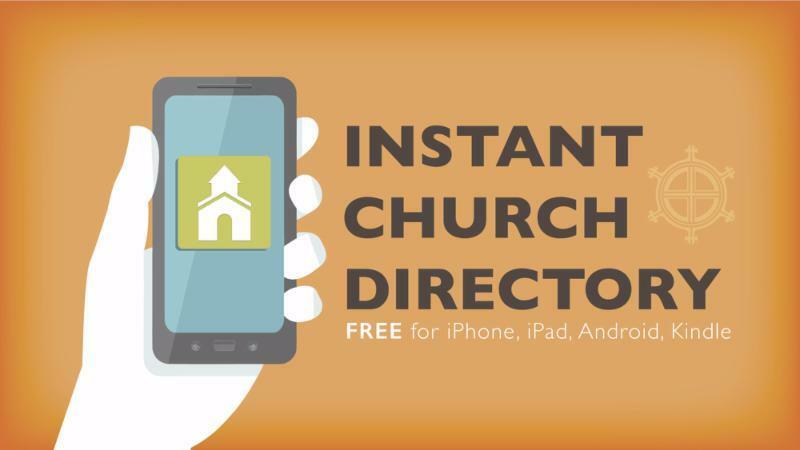 ADD YOUR PHOTO TO THE CHURCH DIRECTORY! We want to see your candid shots, now is the perfect time to send us a current picture of you and your family for the church directory! Simply follow this link to easily upload your own photo. Click here to upload a photo! Questions? Email Linda Sands here!